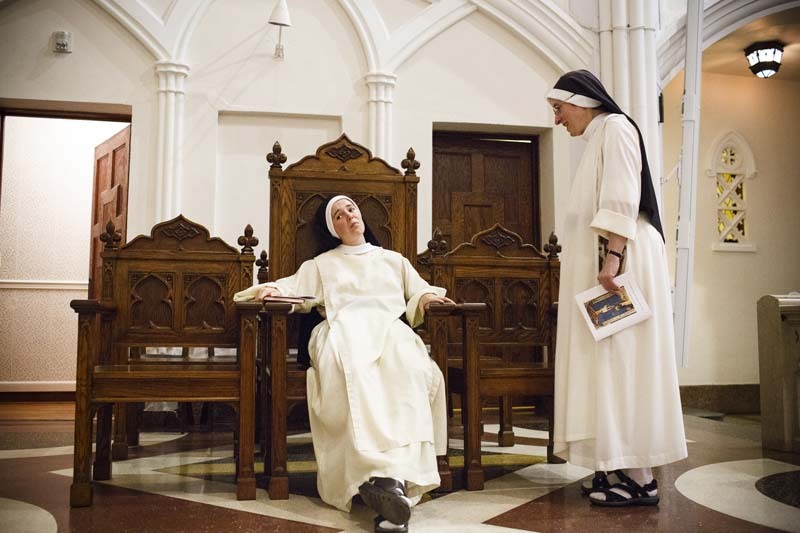 28-year-old Sister Maria Teresa (center) talks with Sister Mary Martin, Prioress (right), during preparations for Solemn Profession the next morning. Solemn Profession is the second of two ritual ceremonies that will seal her commitment to God. Within the ceremony she will receive a simple gold wedding band as symbol of her vows and final commitment.